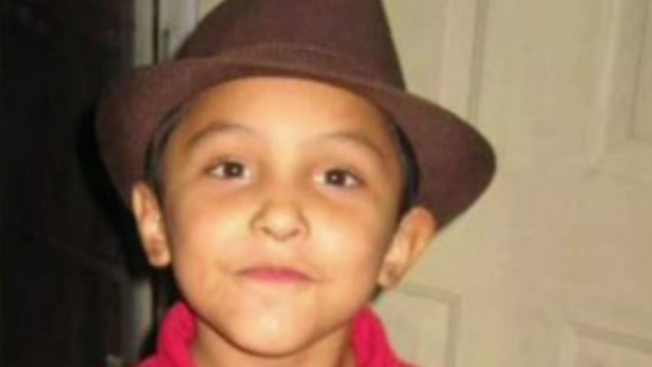 The 2013 death of Gabriel Fernandez, 8, sparked outrage and controversy at Los Angeles County's child welfare system. The boy had been beaten, shot with a BB gun and tortured before he was found in the Palmdale apartment where he lived with his mother, her boyfriend and two siblings. Custody of Gabriel had recently been returned to his mother, despite more than 60 complaints lodged with the Department of Children and Family Services and eight investigations into the family. Prior to Pearl Fernandez regaining custody, he was in the care of his maternal grandparents. Once he moved back in with his mother in October 2012, teachers began noticing bruises and other injuries. They were reported to authorities, but Gabriel remained in the custody of his mother. In the year since his death, Fernandez's case has become a rallying cry for reform in the system, with protests and demands for change at public meetings across the state. The outcry sparked the creation of a Blue Ribbon Commission to oversee changes to DCFS. In late April, that panel returned a detailed report calling on the county to make more than 40 changes to the way child abuse cases are handled in Los Angeles County. October 2012 - Gabriel returned to mother’s custody after years with maternal grandparents. His grandparents alleged DCFS employees were negligent. May 22, 2013 - Gabriel was found barely breathing in his mother’s Palmdale apartment. He showed signs of having been beaten, restrained, shot with a BB gun in the groin and other torture. May 23, 2013 - Gabriel's mother Pearl Fernandez and then-boyfriend Isauro Aguirre were arrested in connection with Gabriel's torture death. May 24, 2013 - Gabriel died at Children’s Hospital Los Angeles. May 28, 2013 - Pearl Fernandez and Aguirre were charged with capital murder in Gabriel's death. June, 2013 - September 2013 - A number of protests took place across the county, calling on county officials to reform child protective services in the region. June 25, 2013 - LA County Board of Supervisors voted to create Blue Ribbon Commission. July 30, 2013 - DCFS Director Philip Browning announced that four workers will be discharged in connection with the Fernandez case. August 27, 2013 - Maternal grandparents of Gabriel filed a claim against the county, the pre-cursor to a lawsuit. They claim DCFS erred in returning Gabriel to his mother. April 22, 2014 - Blue Ribbon Commission returned to the Board of Supervisors a scathing report. It detailed wide-ranging recommendations for changes to the way the County handles abused children. June 2, 2014 - Fernandez and Aguirre due back in court. Aug. 18, 2014 - Court testimony in Gabriel's murder case details beatings with bats, a club which knocked out Gabriel's teeth, BB gun and pepper spray shot in Gabriel's face, and whippings with the metal part of a belt at the hands of his mother and her boyfriend over eight months. Sept. 10, 2015 - A centralized location to train new social workers in Los Angeles County opened its doors after the child welfare system came under intense scrutiny following Gabriel's death. Jan 26, 2016 - A judge ruled that Gregory Merritt, a DCFS supervisor, who was fired in the wake of Gabriel's death, should be reinstated. Merritt decided to close the Fernandez case after he was reunited with his mother. April 7, 2016 - Four DCFS social workers were charged with child abuse and falsifying public records in Gabriel's death. According to prosecutors, the social workers displayed "willful disregard" for Gabriel's well-being. November 2017: The torture murder trial of Isauro Aguirre ends in a Los Angeles courtroom. Attorneys deliver closing arguments Nov. 13. Correction: A previous version of this story indicated that a DCFS employee was alleged to have asked the victim's mother out on a date. The accused individual was not a DCFS employee.